Blogging platform Medium is newly flush with cash, as the company’s head of operations Andy Doyle announced through (what else?) Medium that the company closed a $57 million round, led by Andreessen Horowitz. The money adds on to the $27 million the platform, which was founded by former Twitter CEO and founder Ev Williams, raised last year. According to a report from Re/code, that puts the startup’s total pre-money valuation at $400 million. Google Ventures and Greylock Partners, both participants in the previous round with Greylock leading, also contributed to this round. Doyle also noted that Obvious Ventures, The Chernin Group, and previous Series A angels also participated. Medium’s fresh round of funding is in advance of an event held in San Francisco on October 7 that will divulge some news and features on the platform. It also comes as Facebook is trying to resuscitate its Notes platform to become a reliable place for blogging. 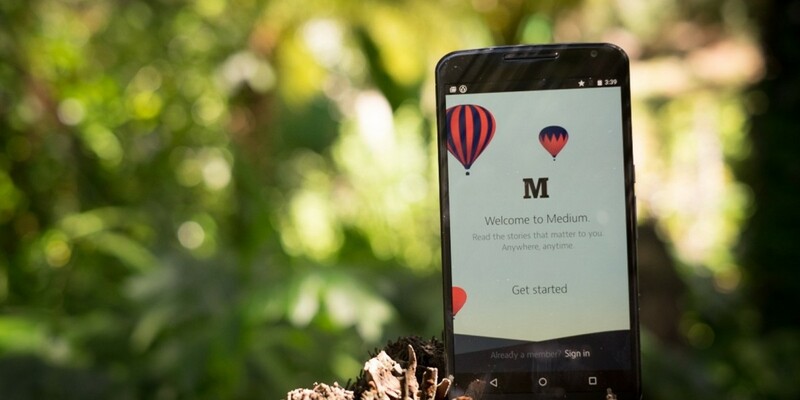 The social media platform will have to do quite a bit to catch up with Medium, which has been toying with both the platform and content for some time. At Medium we operate in a fundamentally different way. We don’t focus on pageviews, unique visitors, or click metrics. We don’t litter the platform with ads that are low quality, high clutter. We don’t tolerate bad behavior in the community. And we don’t violate people’s privacy. Most of these things are good, but its hard to take the temperature of the environment and understand exactly how many people are blogging. Nevertheless, the company has seemed to catch the attention of high-profile VCs like Ben Horowitz, MG Siegler, Josh Elman and David Sze, so it must be doing something right.